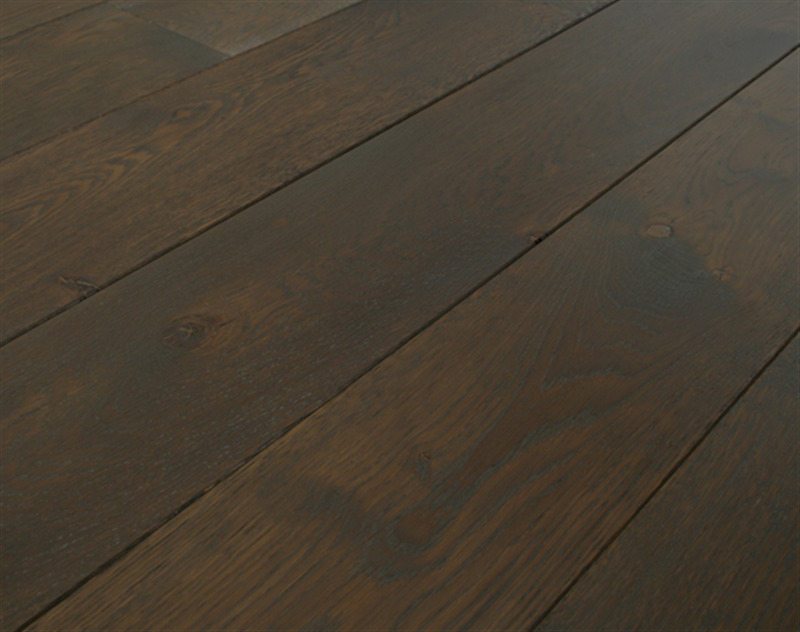 Our Glamorgan Oak flooring is often mistaken for a reclaimed oak flooring whose surface has evolved over several decades. The surface of each board is lightly brushed, then carefully coloured to resemble polished mahogany before being gently aged by hand to create an authentic worn look. Made as standard on our Cottage Oak boards, Glamorgan Oak flooring features large and small knots as well as characterful natural colour variation and is available in both solid oak boards or Strata, our award winning solid oak engineered boards in a choice of widths and generous lengths. Most of these options can be fitted over underfloor heating in line with our installation guidelines. Solid Oak boards will need to be ordered rekilned for this purpose. Glamorgan Oak flooring is fully finished with our natural looking matt satin hardwax oil, UV cured for extra durability.